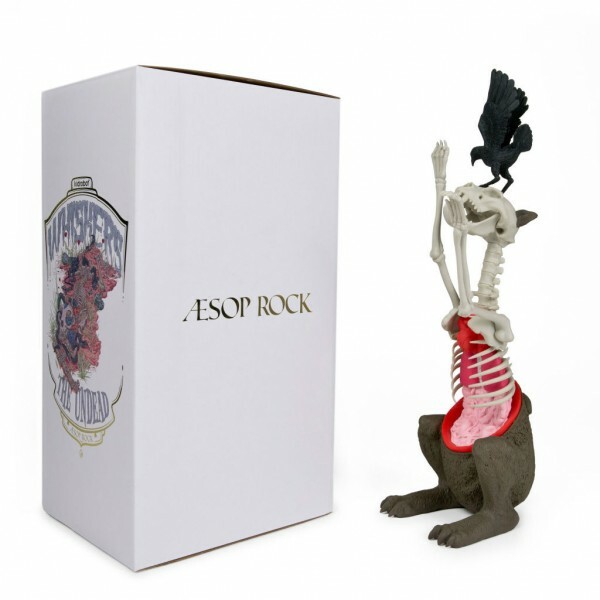 Aesop Rock (@aesoprockwins) worked on a vinyl figure with Galen McKamy, and the result is Whiskers, The Undead. 10.5″ limited vinyl. Box illustrations by Coro.